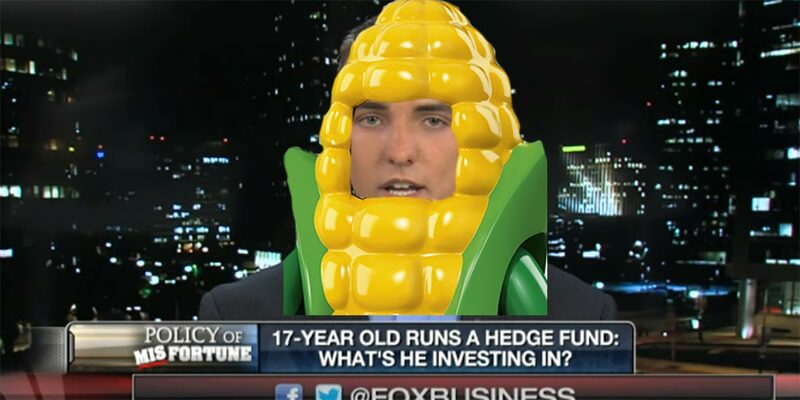 Far-right Twitter troll Jacob Wohl (age 20) looks like he could be in a heap o' trouble. The banned-for-life ex-futures trader recently announced that he was in possession of an investigator's report alleging that Mueller raped a woman in 2010. Wohl gave the report to a right-wing website, The Gateway Pundit, which published the report. But there are more holes in his story than Swiss cheese. And now the FBI is investigating this as a possible fraud. Wohl declined to comment on his involvement with Surefire Intelligence. However, his email is listed in the domain records for Surefire Intelligence's website and calls to a number listed on the Surefire Intelligence website went to a voicemail message which provided another phone number, listed in public records as belonging to Wohl's mother. Wohl stopped responding to NBC News after being told Surefire's official phone number redirects to his mother's voicemail. The FBI is now investigating this possible scam against Mueller, after a woman contacted reporters to tell them that she'd been offered money to claim Mueller sexually harassed her. I'm not owned! I'm not owned!